Munnar Heaven welcomes the guests with a large glass building, where the staff strives to provide good visiting experience. 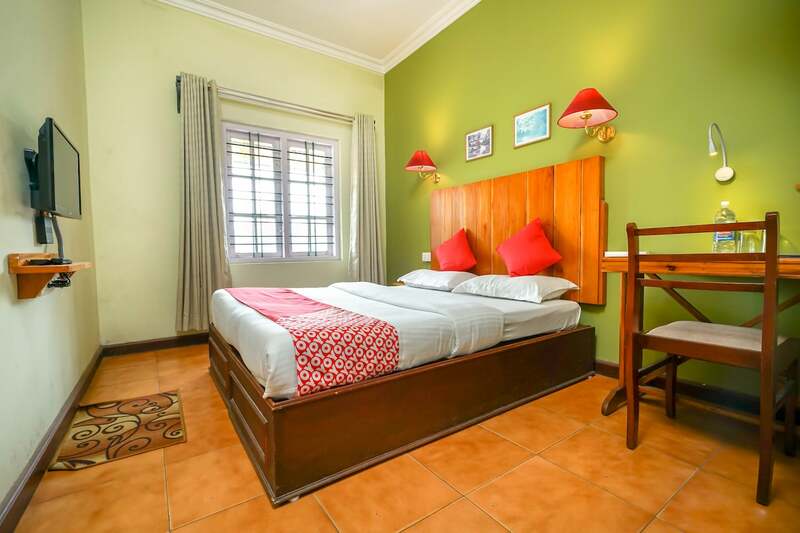 The rooms are bright and airy as they combine eye-catchy wall colours and large windows with complementing the furniture in the rooms. The fancy lamps and the artwork add up to the aesthetics of the entire place. There is an in-house restaurant having a classic theme with traditional furniture and historical photographs displayed on the walls. The hotel provides power back-up for the off-chances of power cut and CCTV cameras for the added security of the guests. The place has a lot of restaurants in its neighbourhood, so one can easily grab some food. Shopaholics will be happy staying here as markets are also close-by and they can shop whenever they wish to.